The Solopreneur track will include engaging, mindful and educational events for those workin’ it solo—from freelancers to creatives to independent business owners. Led by Amy Segreti and Clare Dibble, we’re organizing panels, talks and embodied workshops on everything from overcoming imposter syndrome to financial health to navigating the future of work. 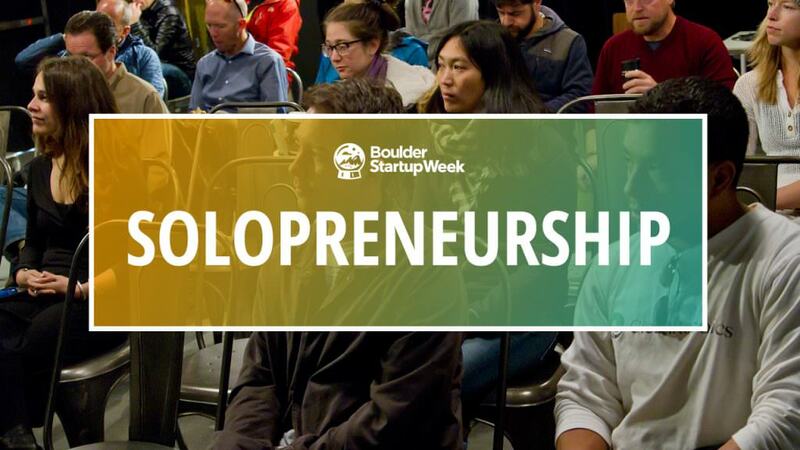 We intend that each solopreneur walk away with tangible action steps so they can deliver (and/or “manifest,” as we are in Boulder) exactly what they desire in their work lives in the areas of play, purpose and passion.